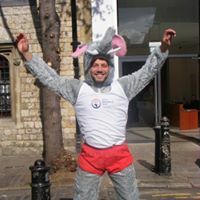 We are very excited to have a places for the 2019 Virgin Money London Marathon! Click here to register your interest and be considered for a marathon place. 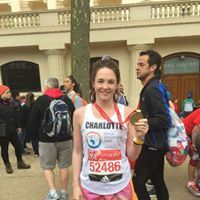 We need a dedicated marathon runners, ready to take on this challenging run and excited to raise funds to provide education to children and adults affected by conflict and poverty. Run with us and together we can bring the joy of education to people who desperately want the chance to learn. Why run for Team AET? What are we looking for in a runner? There is a registration fee of £100 for this event and the fundraising target is £2000. Reckon you’re up for the challenge? Complete our application of interest or email to start a conversation about being our marathon runner. If you successfully secure a marathon place through ballot entry and also believe that everyone deserves an education, you too can join our team. Please contact us and we will help you get started supporting education info@africaeducationaltrust.org. This event requires a commitment to serious training prior to the event. The fundraising target for this event is £2000. You will also be asked to pay a £100 fee once you are confirmed as our runner.